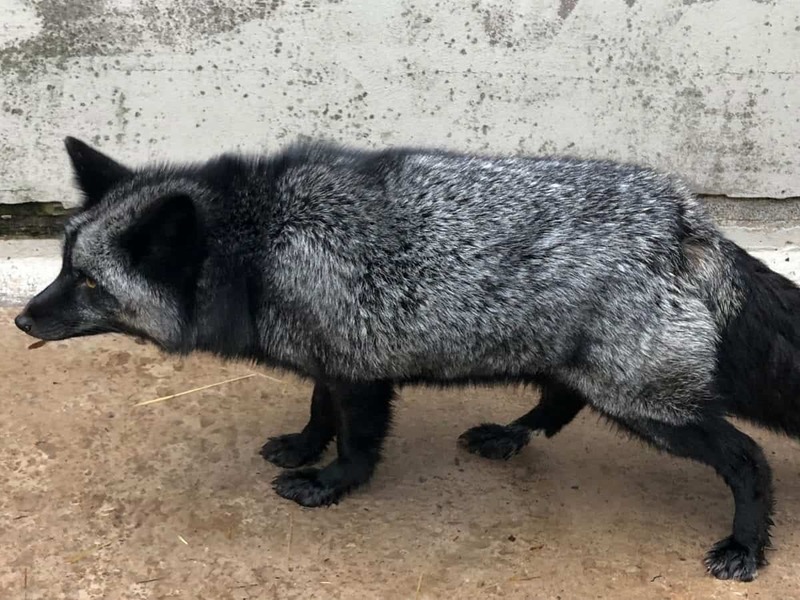 An extremely rare SILVER fox is being looked after by the RSPCA after it was discovered in a garden. Silver foxes are the same as red foxes but are often bred for their fur and are now sometimes kept as ‘pets’. The “impressive-looking” animal, named Shadow by the animal charity, is thought to have been a family pet due to its tame temperament. He was roaming in a garden in Alsager, Cheshire, when he was spotted by the shocked homeowner. Former RSPCA inspector Amanda Lovett, who now runs Mere Moggies Boarding, went to the address and helped catch the confused animal, which was then taken to the charity’s Stapeley Grange Wildlife Centre in nearby Nantwich. 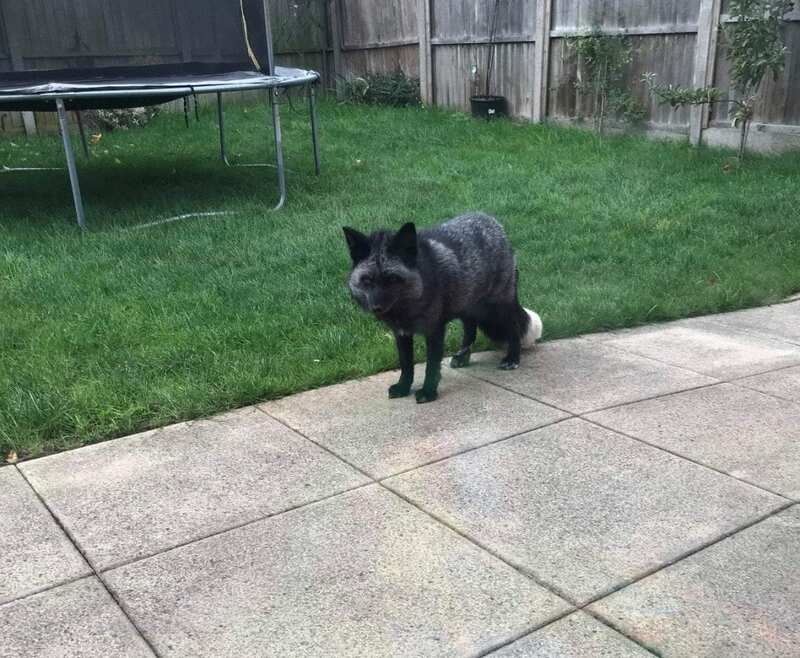 Amanda said: “I was alerted to a post on a local Facebook group and it would seem the fox had been in the garden for most of the day. “This was on Saturday, one of the biggest nights for fireworks, and we knew we had to get the fox to safety. “I managed to safely catch the fox with a grasper and put him in a cat box before taking him to Stapeley Grange, who kindly stayed open later so he could be admitted. Shadow, described as “a little overweight” but in good health, is now being looked after the the RSPCA. 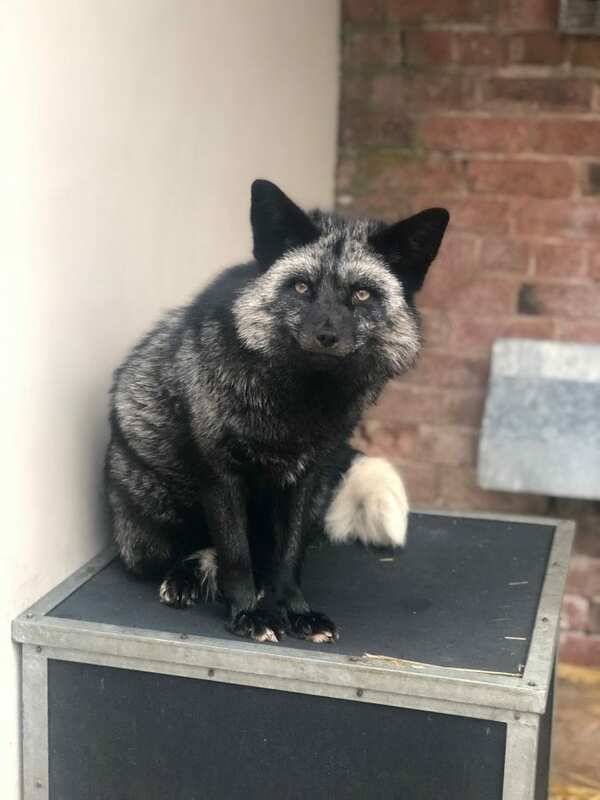 He is the first silver fox the rescue centre has encountered in almost 25 YEARS, with the animal charity warning against people keeping foxes as pets. Lee Stewart, manager of Stapeley Grange, said: “It is likely that Shadow has been kept as a pet and he has either escaped, in which case we need to find his owners, or he has been dumped by his owners. “He was checked over by our team of vets and was found to be in good health, just a little overweight. He is eating fine and seems to be doing well. 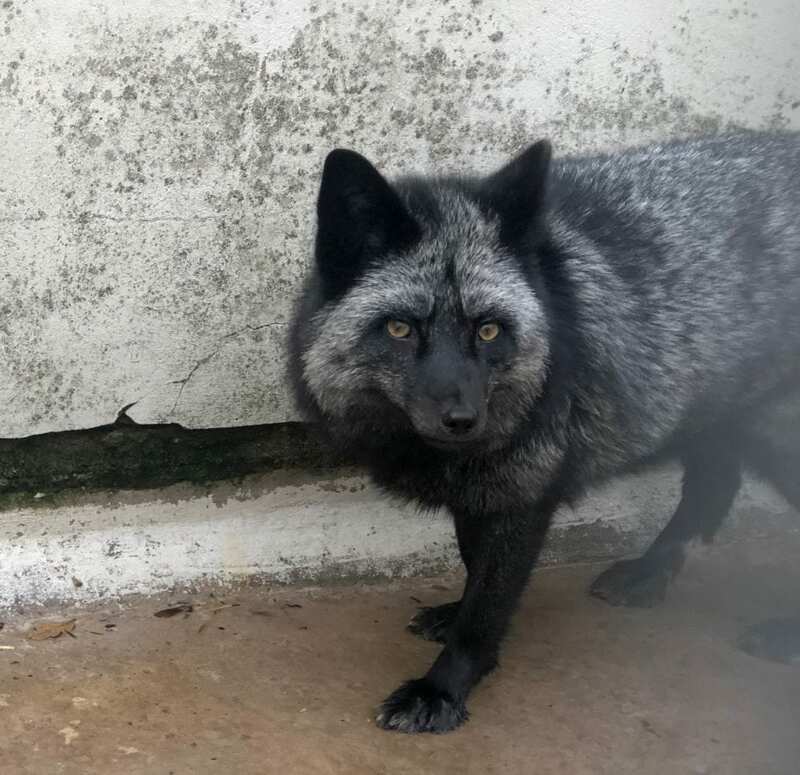 “He is the first silver fox we have ever had here at Stapeley Grange, in nearly 25 years we have been open. If no owner can be traced, Shadow will be looked to be rehomed with a specialist owner.